يضمن فندق فندق هيلتون، سيدني الذي رمم في 2004 لزائريه قضاء وقت ممتع في سيدني، سواء جاؤوا في رحلة عمل أو سياحة. يسهل الوصول إلى هذا الفندق ذو 5 نجوم من المطار، فهو يبعد عنه مسافة 8.00 Miles فقط. يوفر الفندق بفضل موقعة الجيد وصولاً سهلاً إلى أهم معالم المدينة.
. إن فندق هيلتون، سيدني حريص على توفير الراحة للنزلاء، فلا يوفر الموظفون جهداً في تقديم أفضل الخدمات وضمان حسن الاستقبال. يمكن للنزلاء الاستمتاع بالميزات التالية: خدمة الغرف على مدار الساعة, أمن على مدار 24 ساعة, خدمة التنظيف يوميًا, مكتب الاستقبال على مدار الساعة, مرافق مخصصة لذوي الاحتياجات الخاصة أثناء إقامتهم في هذا المكان الرائع. تتضمن كل غرف النزلاء وسائل الراحة والتسلية المصممة خصيصاً لضمان الراحة القصوى للضيوف. سواء كنت من محبي الرياضة أو كنت تتطلع لتفريغ عناء نهار صعب، ستجد خدمات ذات مستوى عالي بانتظارك كمثل حوض استحمام ساخن, مركز للياقة البدنية, ساونا, حمام سباحة داخلي, سبا. يشكل فندق هيلتون، سيدني بخدماته الراقية وموقعه الممتاز، قاعدة مثالية للاستمتاع بإقامتك في سيدني. تتوفر خدمة صف السيارة بمعرفة النزيل بتكلفة إضافية قدرها 57.50 دولار أسترالي وخدمة صف السيارات عند 81 دولار أسترالي لمدة 24 ساعة. تتوفر غرف متصلة عند الطلب وتخضع لمدى التوافر. Offered early check in, late check out, luggage storage and freshen up facilities. All staff members seemed very engaged and happy to help. The overall stay experience was nice. The only negative aspects of our stay was that there were no available space in the fridge to store our own drinks/foods. Also the in-room burger we ordered was pretty bad (especially for that price) and the chips were cold on arrival. Otherwise the room itself and the staff were great. You would think when you pay a substantial cost for your room that WIFI would be included. Not in the Hilton in Sydney. Which at Xmas time of year would have been useful. Location and Staff were excellent. Room was very basic but clean. Disappointed with the Brand name Hilton as i was expecting a lot more. Great location. Staff are helpful. However, the lighting in the bathroom is a bit too bright and the room is slightly smaller than I thought. Every time we stay at the hotel the 5 star service is always consistent. A special mention to Angelica at front desk he warm bubbly and propfessional manner stood out. Fantastic hotel to be in while in Sydney! Perfect location, clean rooms and excellent facilities! The welcome received at check-in was exceptional. There is nothing better than a friendly face after a day of travelling. The room was spacious with a huge comfy bed and pillows to suit everyone's individual needs. The bedroom & bathroom was well equipped and even had a TV in the shower so you can catch up on the news while you take your morning shower. Fantastic location close to everything you need in the CBD and first class restaurants and bars on site. 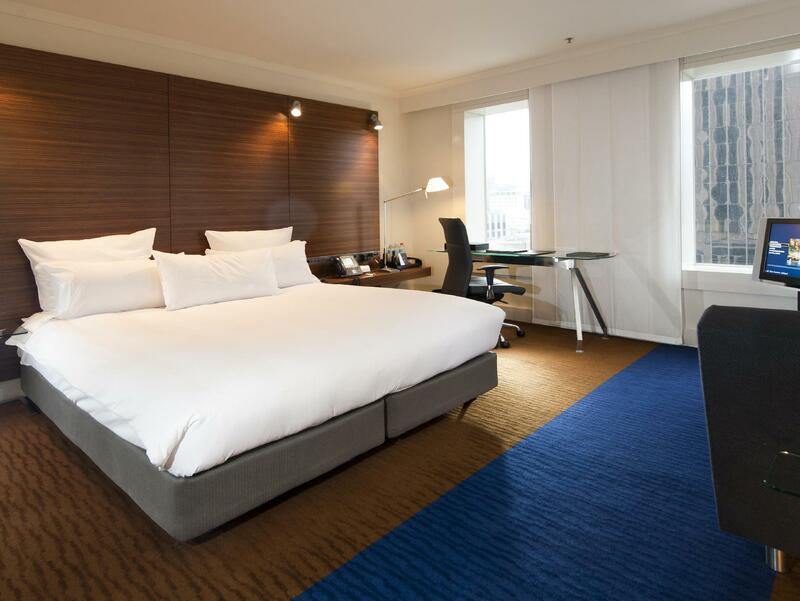 This is definitely going to be our Sydney go to hotel. Pros: Great location along george street and opposite queen victoria building. Walking distance to almost everything - restaurants, malls etc. The rocks, museum of contemporary art and circular quay is a good 10-15 mins walk. The hotel staff are all friendly. Breakfast and Dinner at Glass Restaurant, bar food/drinks at zeta bar is not bad. Cons: The room is not so spacious. Limited cable channel. No complimentary bottled water and toothbrush which generally are standard/basic in hotels. Nevertheless, might stay here again for its location and friendly staff. Location is what makes this hotel stand out amongst all the others. 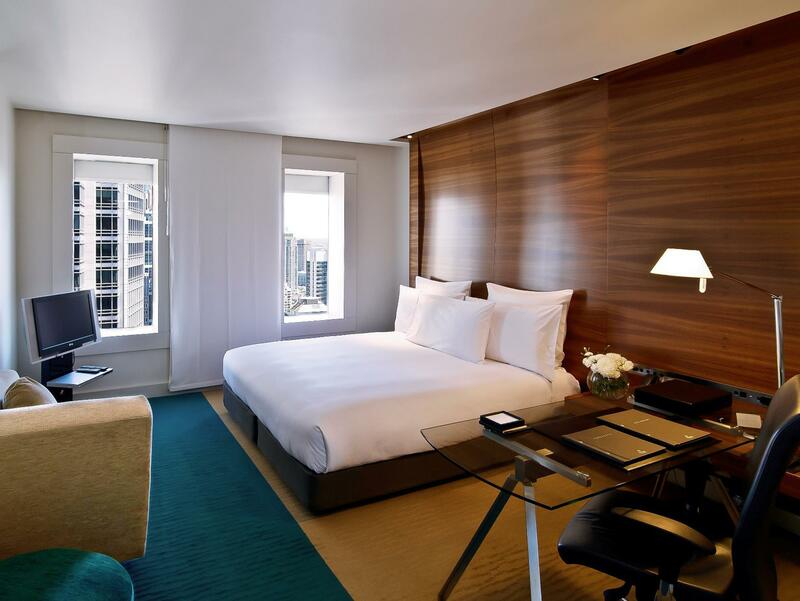 With so many new 5 stars hotel been built around Sydney over the past years and compete at similar prices. Hilton Sydney seriously need to start refurbish their rooms and facilities to keep it true 5 stars. You can tell the room and swimming pools are starting to aged. It just don't have the same "woah" factor as the new nearby hotel. Great foyer and surroundings. Fantastic room and fittings. Friendly and helpful staff. Location is one of the best in Sydney. A very nice view and quiet clean room. Room service was very fast - but food was only average. Room cleaning was very fast when asked for. We booked King Deluxe room but front desk staff put us on small double room with no explanation. However, the bed is small, mattress and pillow is very soft, we sleep like a king prawn on frying wok. The basement swimming pool is disappointing too, noisy and ventilation is bad. The Magic call to help desk is not magical at all, not speaking proper English. Won't book again. The staff were really helpful and hospitable, the room was clean, but the room and bathroom was smaller than I expected, and the amenities were just standard. The location is excellent though, it's just in the middle of the city so it's very convenient. It was really great, but I had better expectations for a Hilton hotel. Ventured to Sydney with my wife for her birthday and we stayed at the Hilton for two nights. 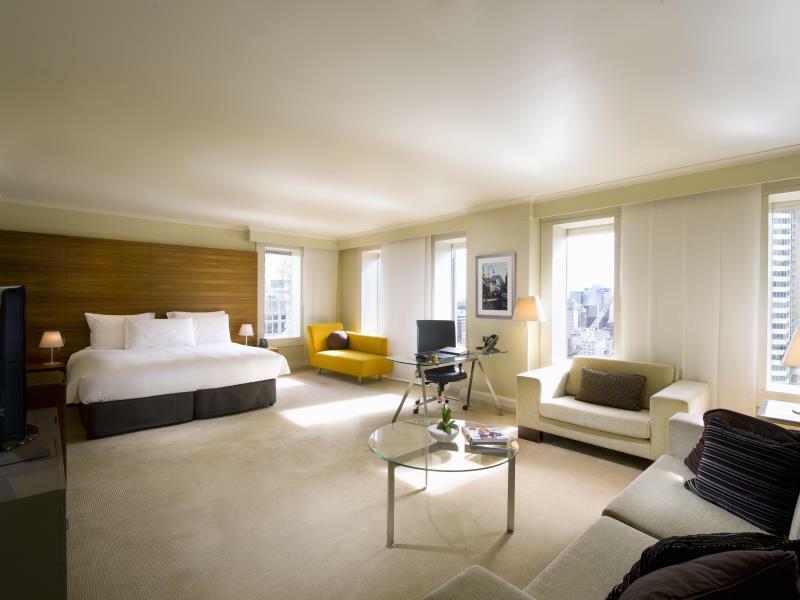 Phenomenal service, lovely room and the location is excellent, right in the heart of city. Literally nothing to complain about - really enjoyed our stay. The hotel is lovely and in a great location. The staff were efficient and friendly. The rooms are very small which was disappointing and the mini bar prices are outrageous! We were charged $7.50 for a can of sprite! Have stayed here many times. The pool/gym/sauna area is great for a way to wind down after a business day of business. I wish the room service menu could be upgraded and have more greener options though. Super strategic location (opposite QVB which is where the Town Hall train located within). 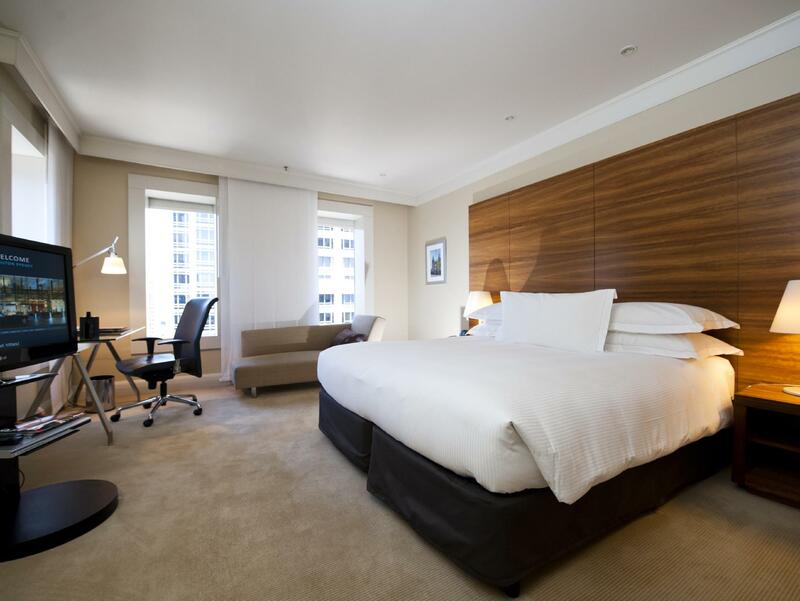 Centrally located in Sydney CBD with 10 - 15 mins walk to Darling Harbour and Circular Quay. Prices are a bit on the high side considering the facilities and room size. But it's Sydney, so no complaint.